Nicki Minaj secretly meeting with her ex, Safari? Nicki and Safari were together for 11 years and when they broke up, Nicki broke down during a radio interview, saying she doesn't know how to live without him...but had to find strength to move on. She moved on with Meek Mill but there are now rumours that Nicki has secretly been meeting up with Safari or at least his family. 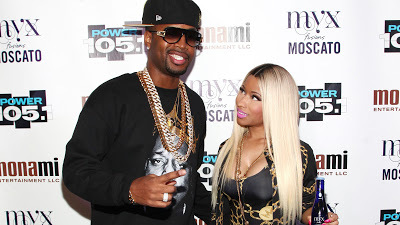 Recently, Nicki has been downplaying her relationship with Meek Mill. Meeting with Safari is still rumour but according to gossip website, Fameolous, someone is currently shopping pictures of Nicki Minaj hanging around Safari's mother's house.